Automate client communication and funnel new leads directly into AgencyBloc. Use automated workflow tools or email campaigns to be sure you never miss a follow-up. 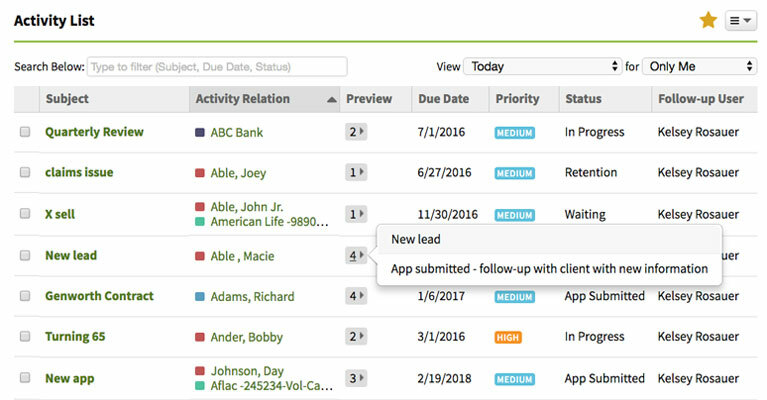 Leads captured with a website lead form are imported into AgencyBloc and automatically assigned to team members for follow-up. Create your lead form in AgencyBloc in a few quick steps, then embed it on your website to begin capturing leads immediately. Leads are automatically funneled into AgencyBloc and assigned to your team. Set up email campaigns based on form submissions. When a new lead fills out your form, automatically send them a series of emails giving them more information about your agency, quote details, and more. Plus, automatically assign the lead for follow-up, so they'll hear from someone personally, as well. Immediately notify agents of new leads so a follow-up is never missed. Set up a workflow so when a form is submitted, a task is automatically assigned to an agent. The new lead will appear in the agent’s dashboard where they can view lead source, status, priority, and any notes attached. Sync related emails from Outlook and assign to the agent and/or contact record. Keep your prospects and clients informed with weekly or monthly newsletters. Start with AgencyBloc's industry-specific templates and customize them for your agency. Or, build a completely new template to use again and again. Stay on top of policy renewals with automated email reminders to clients. Email campaigns are also a great way to be sure your agents are aware of the most recent industry news, like changes to carrier products or upcoming CE credit classes. Create automated email campaigns to take care of recurring communication like birthdays, 65+ policy information, and open enrollment reminders. Maintain constant communication with your clients by sending timely, relevant messages and stay top-of-mind with your prospects by setting up a series of automatic emails. 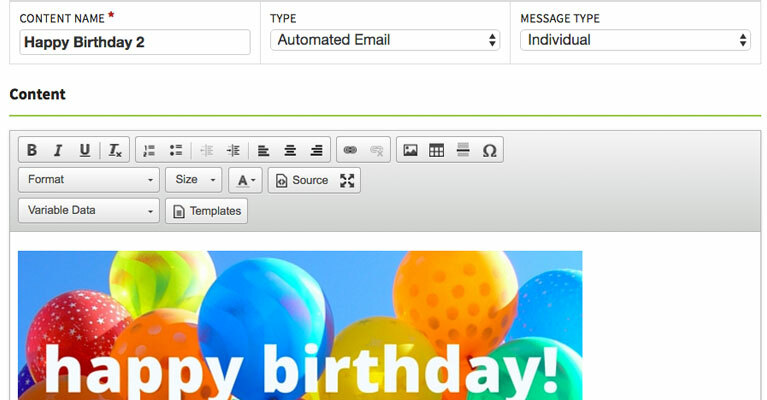 AgencyBloc’s Lead Forms complement automated emails. Once a lead is funneled into AgencyBloc from your website, an automated email can be sent immediately. Let the lead know you received their information and that someone will be in touch shortly, and send an email to an agent letting them know they have a new lead. Staying on top of new web leads has never been easier. No more flipping through papers or scrolling through Excel spreadsheets. Quickly and easily find the information you’re looking for by searching industry-specific fields or custom fields you’ve created. Find prospects you haven’t yet contacted, policies by carrier or coverage type and much more. Spend less time searching for information and more time putting it to good use. Save important searches to refer to again and again, like a list of prospects not yet contacted to be sure all follow-ups are made or a list of policies in the application process to double-check all parties are informed of any updates. Use advanced search to quickly identify agents who fit certain criteria, like their primary market. Or, search for agents with upcoming E&O or license expiration dates and send reminders. If your carrier is making a product change, use advanced search to find all affected agents and policyholders and email them with the relevant information.